The Buddenbrook House presents the big anniversary exhibition due to the 25th anniversary of the museum. As youngsters, the senator's sons Heinrich and Thomas Mann fought a rebellion against the fusty world of their home town. 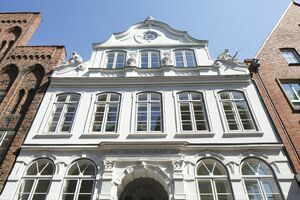 In the Lübeck novels Buddenbrooks and Professor Unrat, the brothers draw an unflattering image of their home: both novels create a scandal. But the people of Lübeck are also proud of their famous sons. And for Heinrich and Thomas Mann, Lübeck and the world of the North always remained their "home of the heart".